Home > Browse > Informations SIDA sourds. 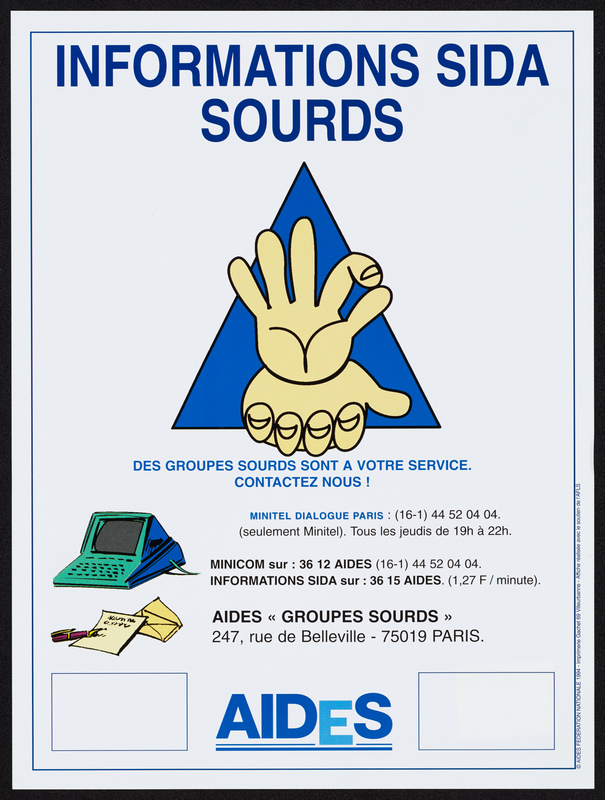 Information on AIDS for the deaf. Drawing of two hands in a triangle, a computer, and a phone, plus several phone numbers.